Mason Greenwood scored a quite incredible free-kick on Monday night as Manchester United‘s Under-23s thrashed their Newcastle United counterparts 5-0 at St James’ Park. 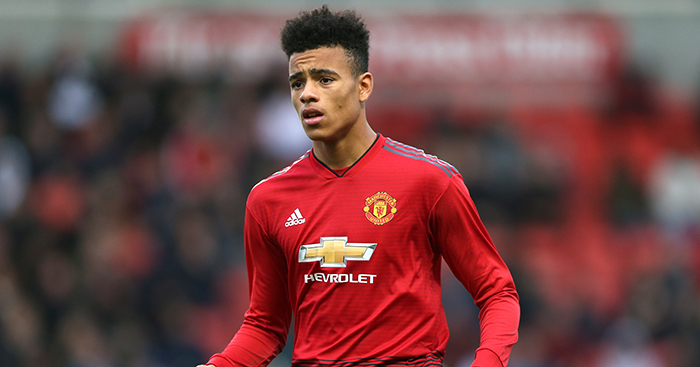 Greenwood made his debut for Man Utd’s first team in their Champions League win over Paris Saint-Germain in March and has since appeared twice in the Premier League. And back playing for the Under-23s against Newcastle, he showed just why Ole Gunnar Solskjaer has been willing to give him opportunities even at the age of 17. Stepping up to take a free-kick a good 30 yards from goal, Greenwood lifted the ball over the wall and sent it flying into the side netting with an effort which just kept on bending. To make it even more remarkable, Greenwood scored it with his so-called less-favoured left foot, but it’s pretty clear from this he’s the definition of a two-footed player. Manchester United legend Clayton Blackmore said of the youngster: “We don’t know how good he is going to get. He’s still growing. “He’s great on the ball and very good with both feet. He’s the first person I’ve seen that takes penalties and free-kick with his wrong foot.